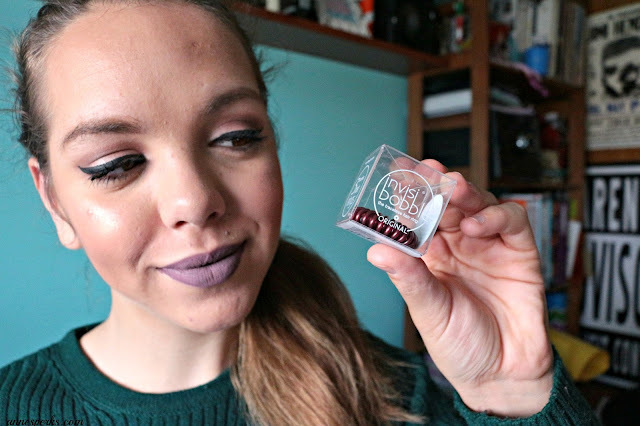 So we are doing blogmas over here! Yeey! Of course that like everything else in my life I'm late to the blogmas posts party, meaning that it was supposed to start yesterday, but I spend my day traveling and I decided at 4AM that I was going to do this so that is why we are starting late. 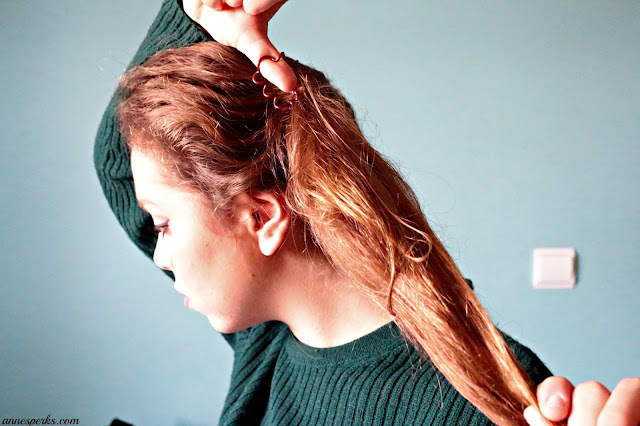 Today we are going to talk about an hair "tool" and if you know me you know that hair is NOT my department, so the fact that I feel comfortable enough to come here and talk about and hair product should mean something. With this product is kind of a once you go Invisibobble you can go back. 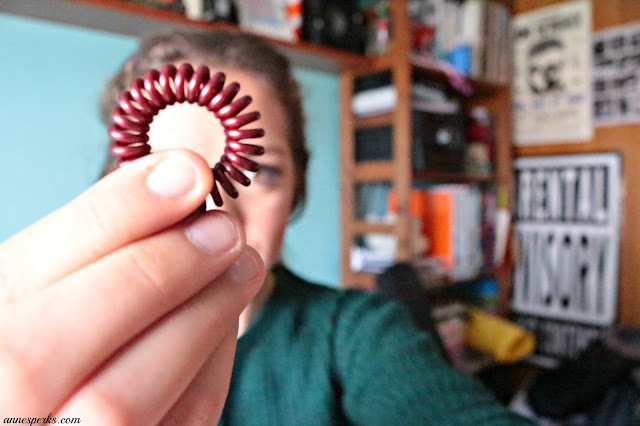 This is a hair tie that doesn't hurt your hair/head. I've used countless packs over the years, but they do last a fair amount of time. Each hair tie lasts around 4/6 months before breaking. 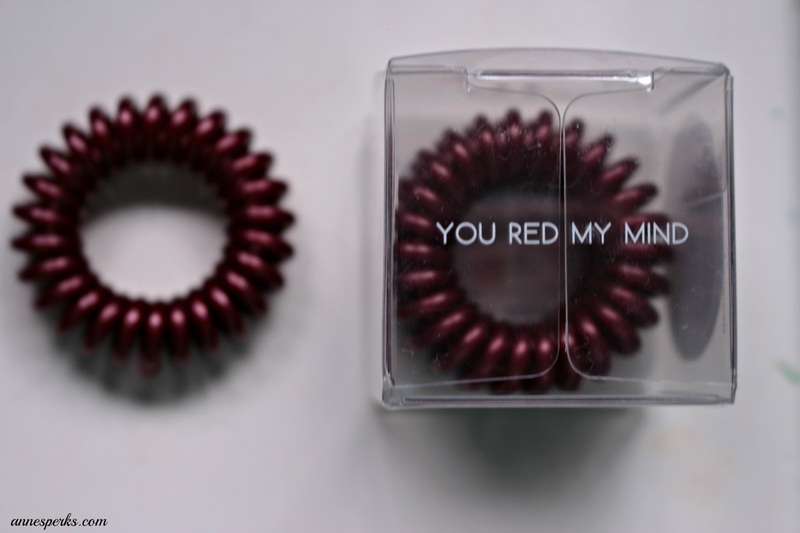 The ones I'm sharing with you are the new Holiday Collection metallic red ones in You Red My Mind. I know they look tiny but they expand with use. 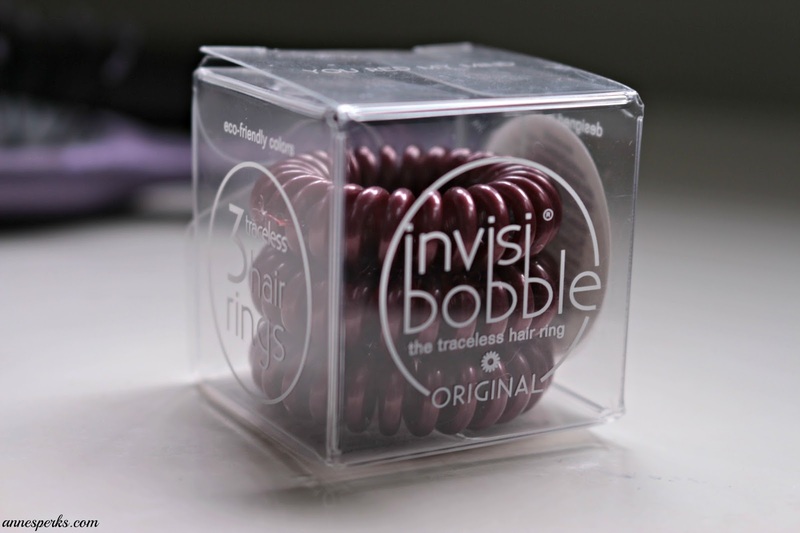 Honestly the only thing that changes with use is how many times you have to turn and twist your Invisibobble until your hair is secure. I really believe that this is the best thing to invest in if you, like me tie your hair on daily basses. Sephora or online . Around 5€ . Because it is the BEST hair tie in the market! eu ainda n tenho nenhum mas so oiço maravilhas!